Dustin is a structural engineer who joined B&F in 2008. He obtained his B.S. in 2007 and M.S. in 2010 from the University of Arkansas. He is a Licensed Professional Engineer in Arkansas, South Carolina, and Oklahoma (with a Structural Engineer Designation). 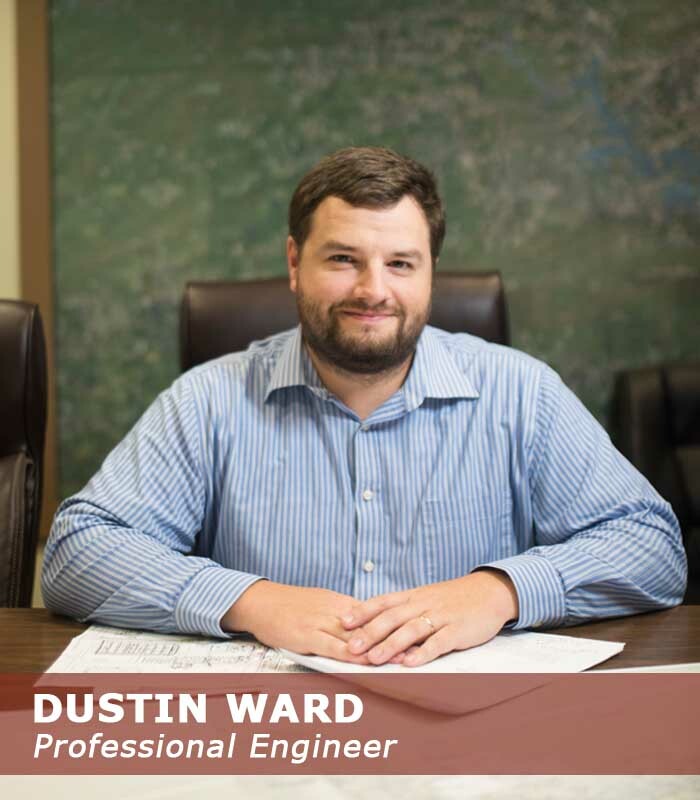 Dustin’s affiliations include Structural Engineers Association of Arkansas, Arkansas Society of Professional Engineers, National Society of Professional Engineers, and Chi Epsilon (Nat’l Civil Eng Honor Society). Dustin enjoys spending time outdoors, especially if there is an opportunity to do some kayaking and get a hook wet.